Did you know that how you brush your teeth is just as important as how often you brush your teeth when it comes to your dental health? It’s true. Many of us go on autopilot when we brush our teeth, but not paying attention to proper daily dental hygiene habits can leave us more susceptible to dental diseases. Brushing, flossing and a biannual dental exam, cleaning and X-ray are essential aspects of a good dental health routine. Brush and floss after meals or twice a day. Hold your brush at a 45-degree angle and brush in small, gentle circles, moving from tooth to tooth until each area of your mouth has been completely cleaned. 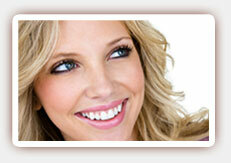 Focus especially on areas along the gumline where plaque is most likely to accumulate. This mineral has been shown to help remineralize teeth and make the enamel stronger. Drink fluoridated tap water or bottled water, and use fluoride toothpaste. If you use a mouth rinse, choose one with added fluoride for the best results. Most people should seek professional care at least twice a year. Some may need more frequent care, however. Professional dental care allows our dentist the opportunity to catch dental diseases at their most treatable stages and provide you with valuable information on maintaining or improving your own dental health. 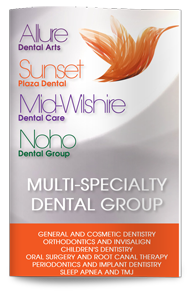 Contact Dr. Poneh Ghasri DDS, West Hollywood dentist, today to learn more or to schedule your next dental cleaning or exam.